Welcome to the Pacific Northwest – land of espresso and fresh seafood, bicycles and boats, computers and airplanes, high fashion and Gore-Tex, grunge rock and classical music, competitive business and a laid-back attitude, bus tunnels and floating bridges, skyscrapers and parks. Kiznaiver World Premier event at Sakura-Con! Live Streaming from Japan! Join us for the world premier of the first 2 episodes of the latest series from Trigger, the studio that brought you Kill la Kill. 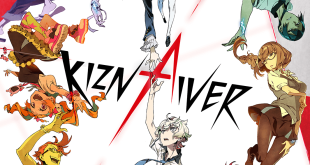 There will be a panel with Kiznaiver voice actors Yuki Kaji and Hibiku Yamaura streaming LIVE from Japan following the premiere!